Gilt name “H. 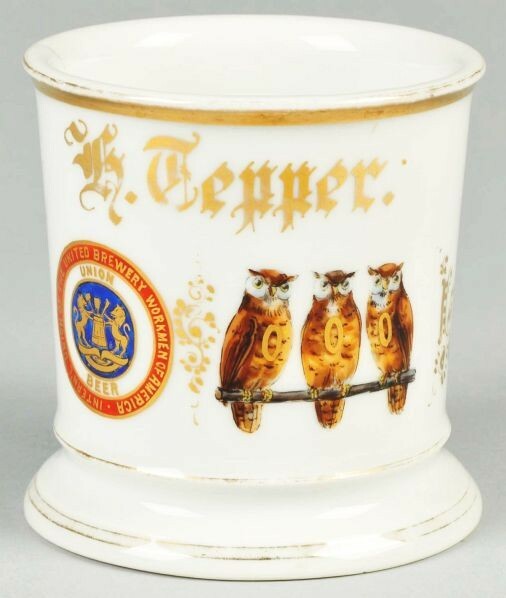 Tepper”. For the Order of the Owls and The Union of the United Brewery Workmen of America. Green “P” and “Germany” mark on bottom. Size 3 – 1/2″ T.